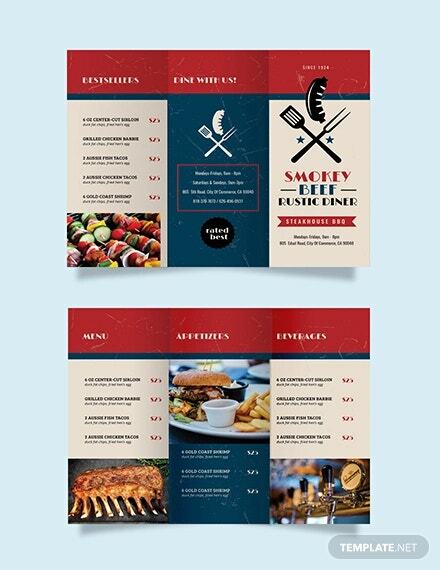 33+ Restaurant Brochure Templates – Free PSD, EPS, AI, InDesign, Word, PDF Format Download! 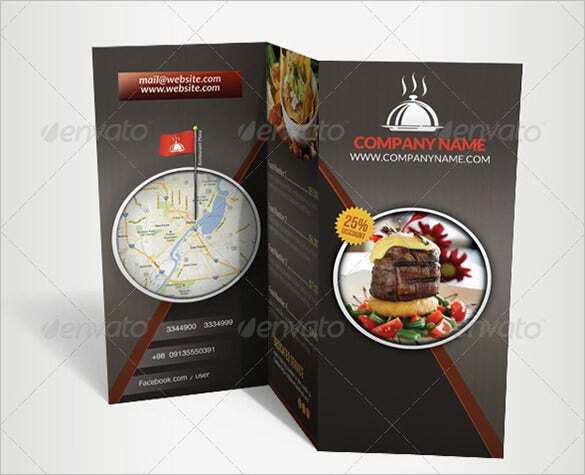 For all of you who have newly entered into the food industry, marketing and advertising your eatery, restaurant and take out and delivery food joints is a must. 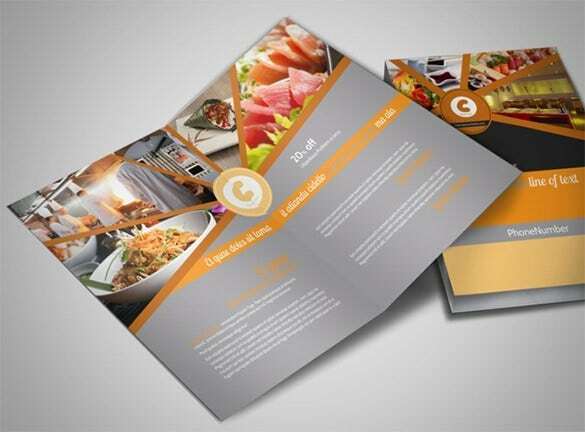 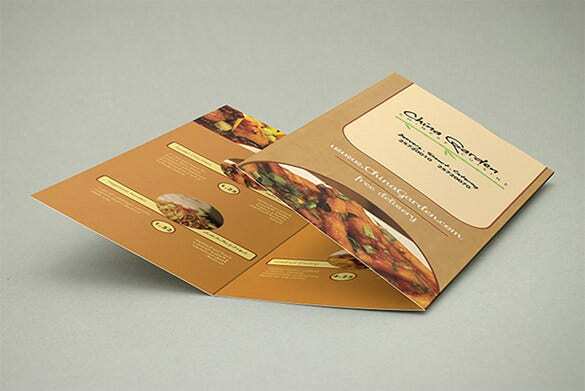 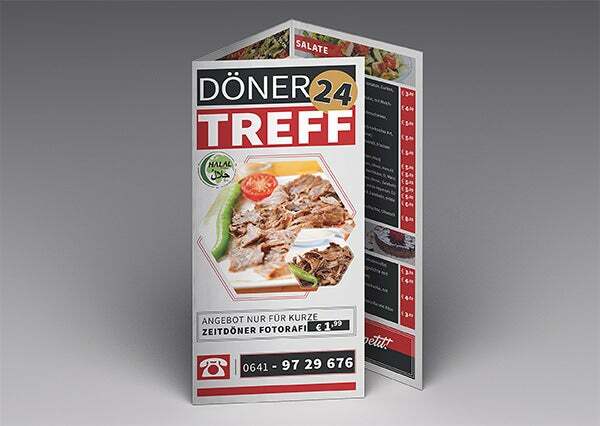 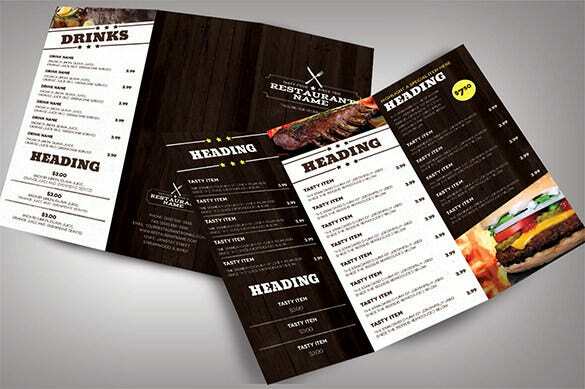 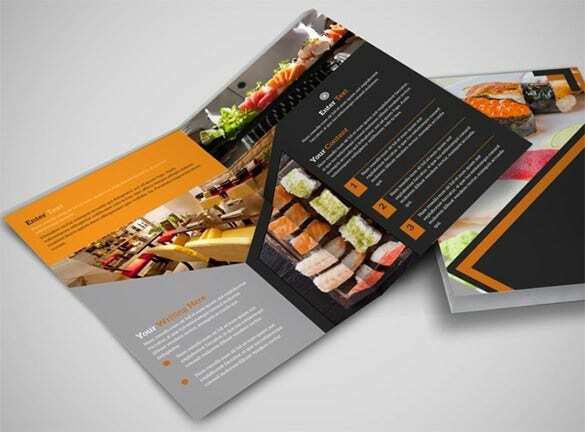 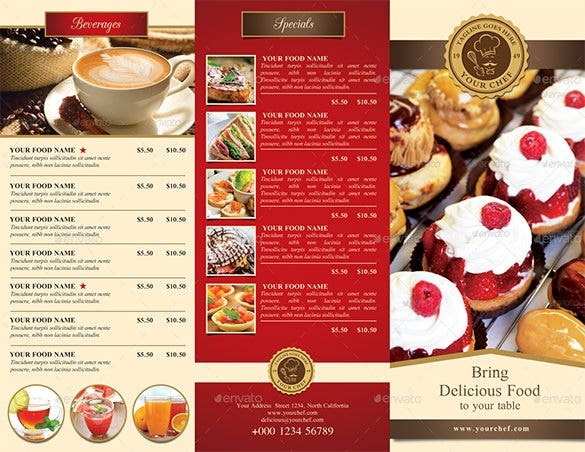 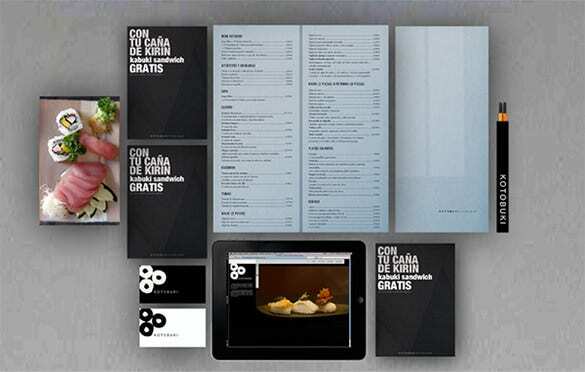 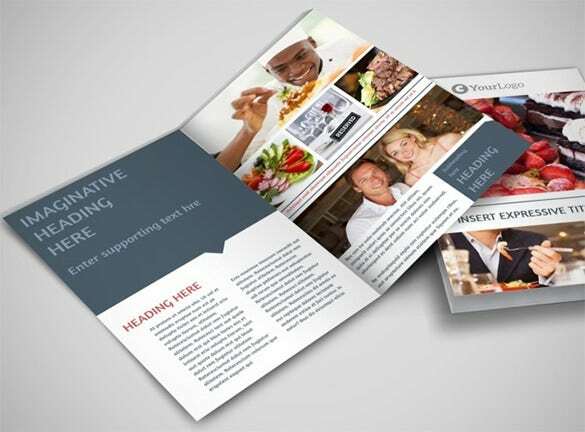 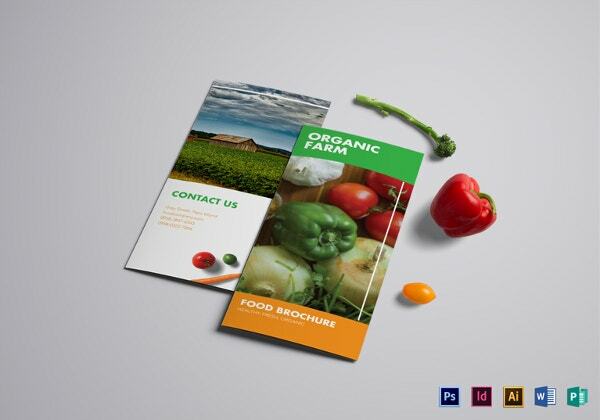 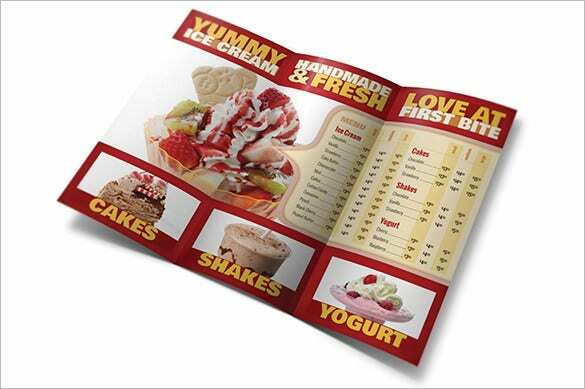 To simplify this process we have an extensive range of well-crafted and classy restaurant brochures. 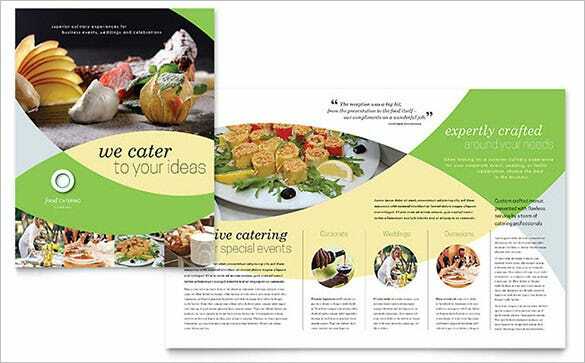 These brochures are absolutely free of cost and easy to download. 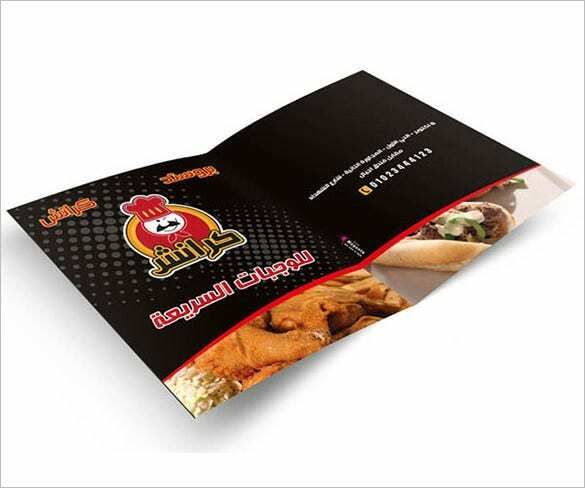 These vibrant and colorful brochures are very popular amongst the restaurateurs. 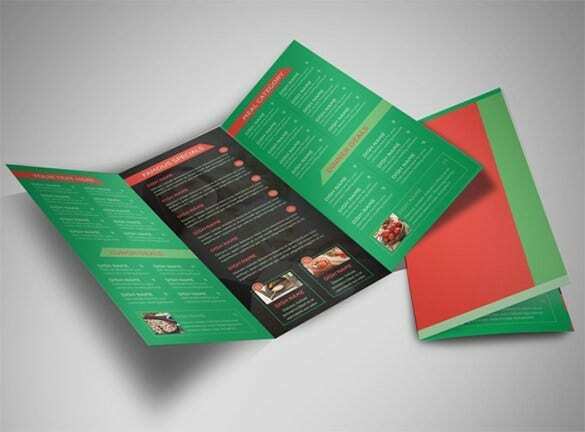 You can also see Christmas Brochures Templates. 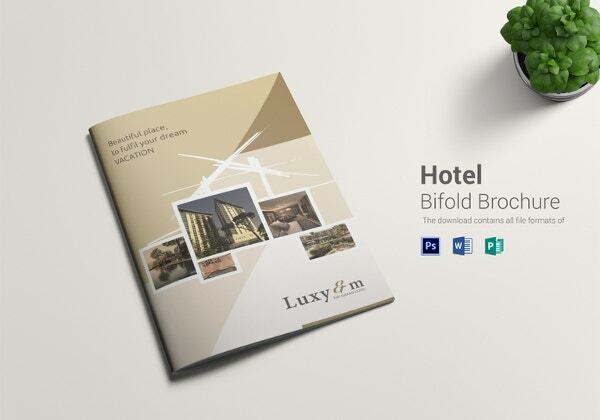 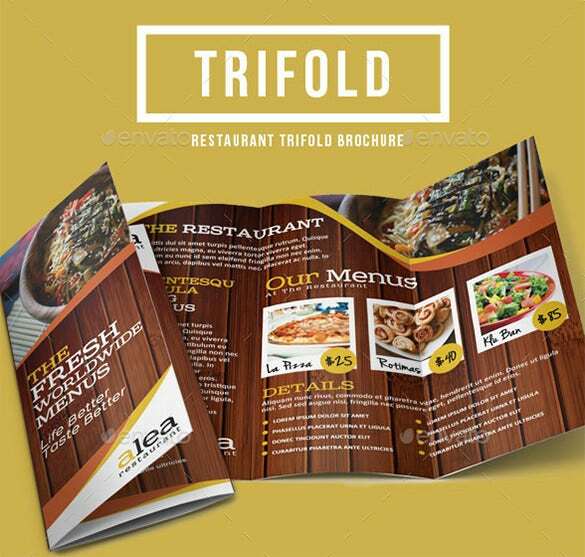 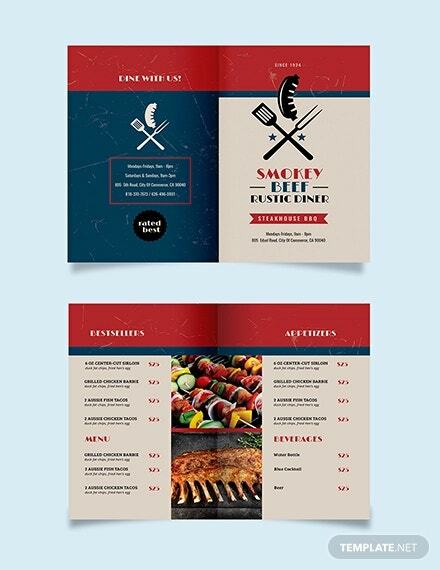 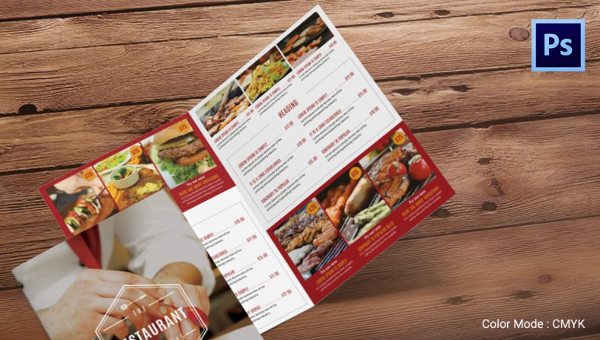 You are getting a simple yet sophisticated trifold restaurant brochure template here which will allow you to jot down all your menu details- right from appetizers to desserts. 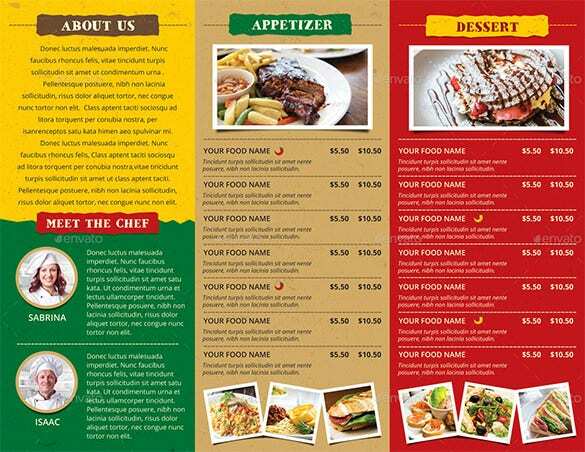 You can even add pictures here. 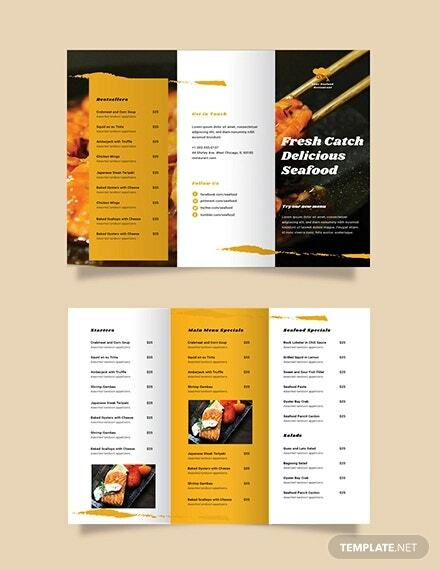 This restaurant menu brochure comes in the classic combo of black & white which is always pulling. 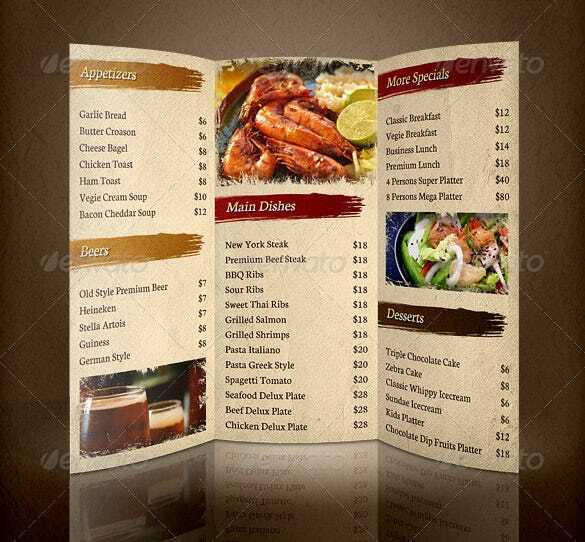 You are getting enough space to include everything your menu here along with pictures. 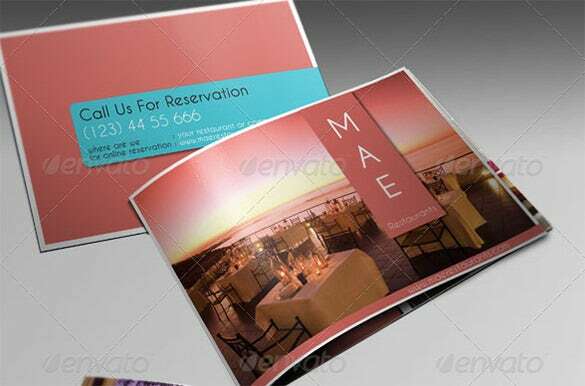 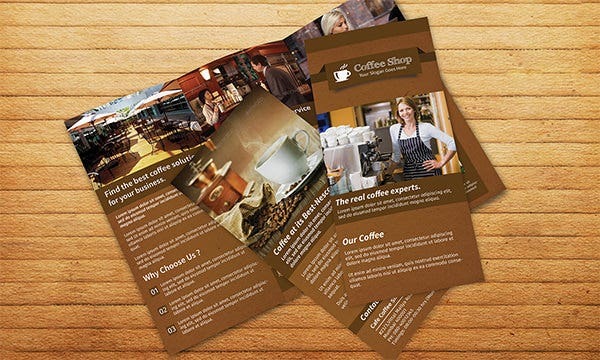 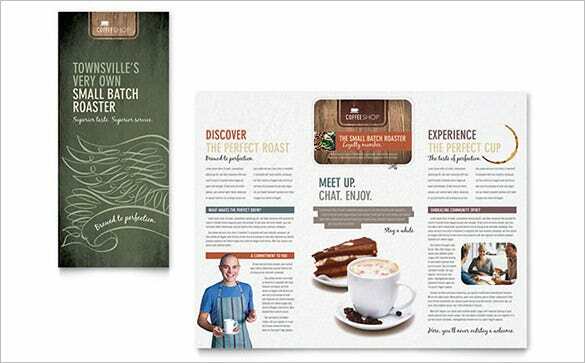 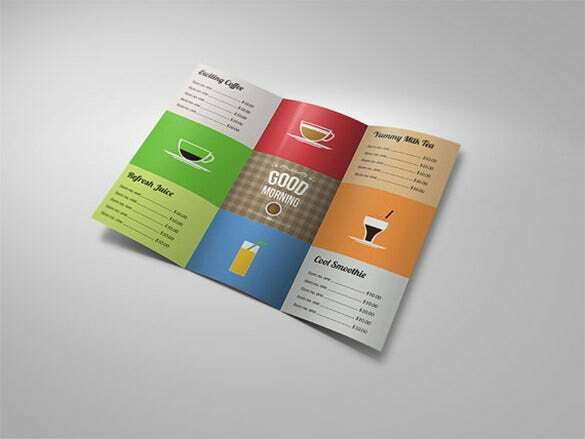 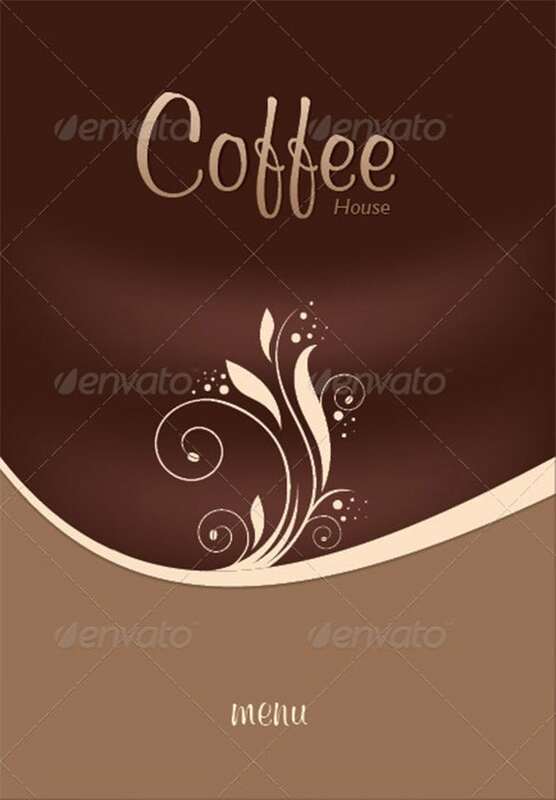 The café tri-fold brochure template here has arrived attractive color palettes in sync with the cheerful ambience of a café. 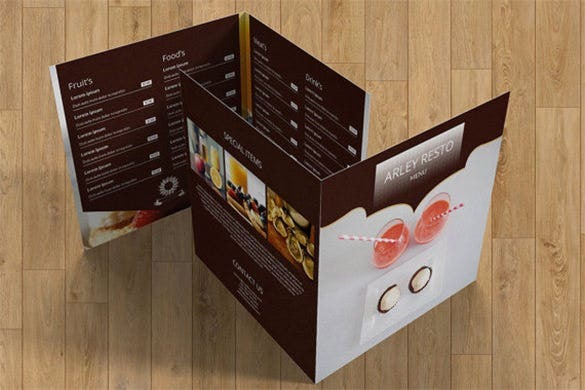 The illustrations are cute and duly complement the menu brochure. 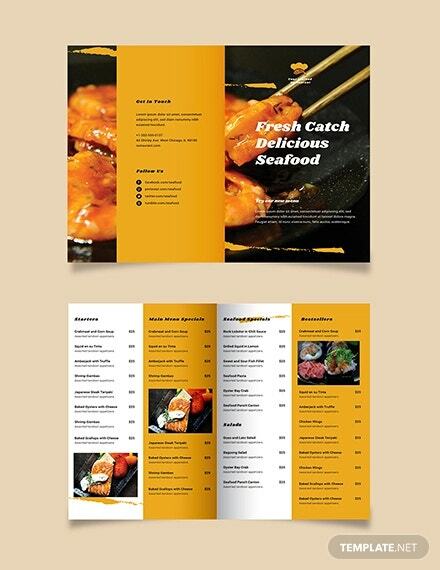 The brochure opens up with a picture of sumptuous Chinese delicacy right on the brochure cover. 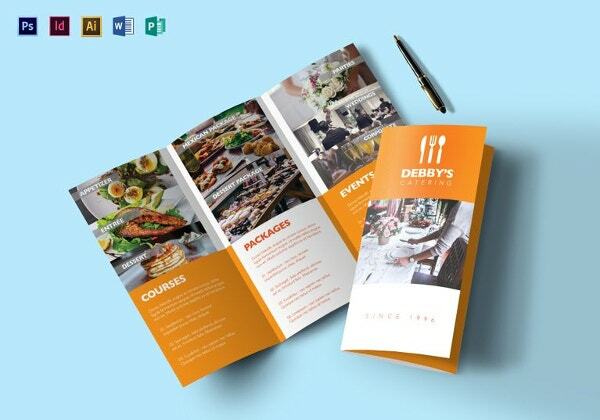 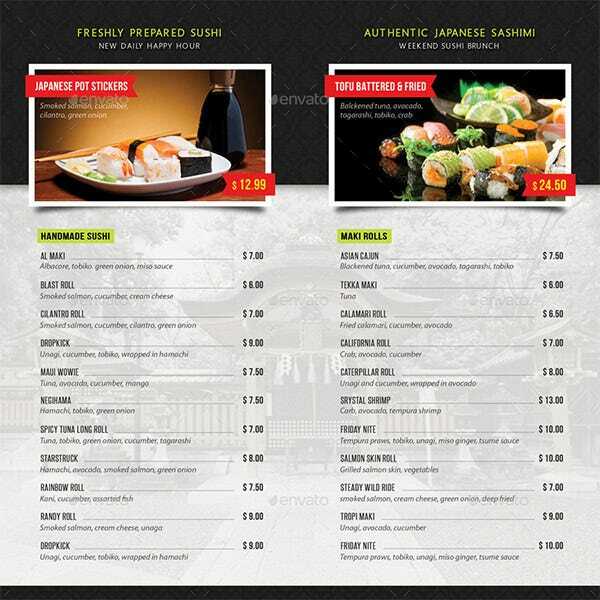 The inside pages will feature your menu and you can even add multiple pictures here. 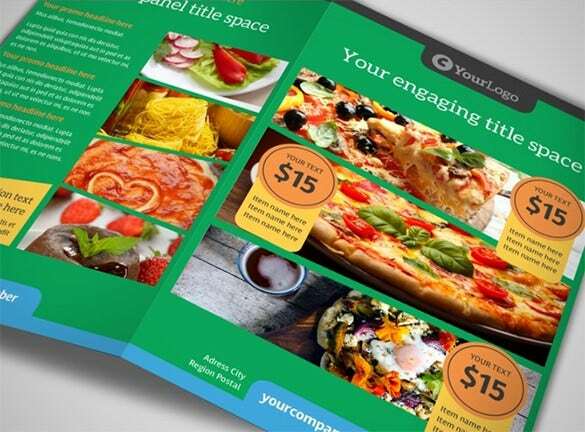 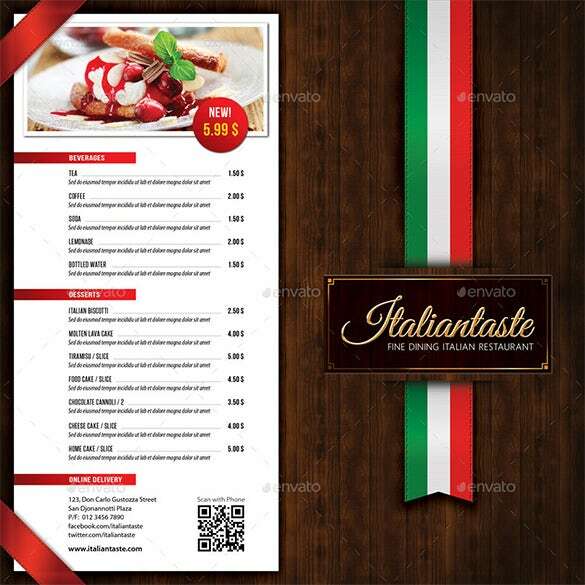 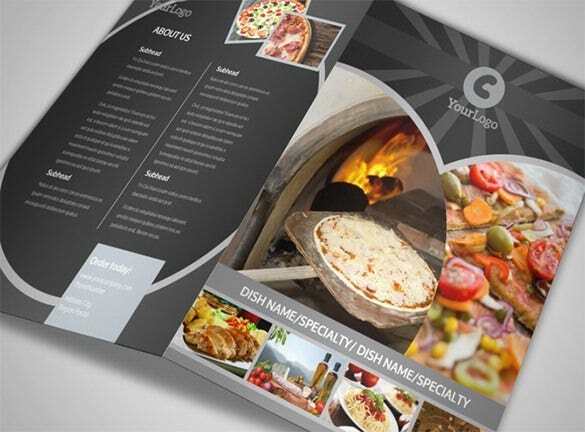 The pizza restaurant bi-fold restaurant brochure template here would allow you to add great pictures of your yummy pizza delights along with text details- to make the brochure even more attractive. 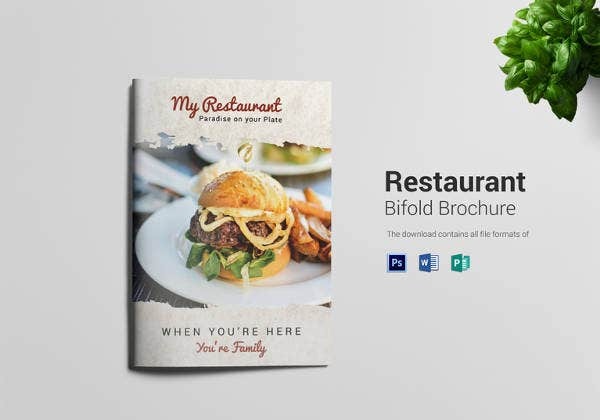 You can easily add the details of your menu, address of the restaurant, contact details and telephone numbers, photos of your eatery, photos of some of your most popular dishes and lots of other relevant information.